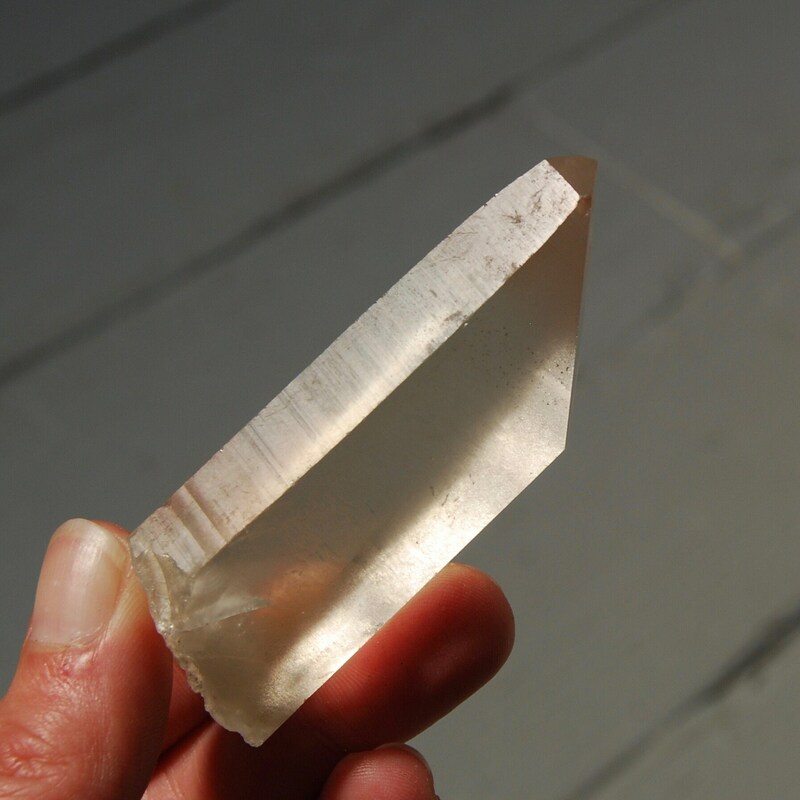 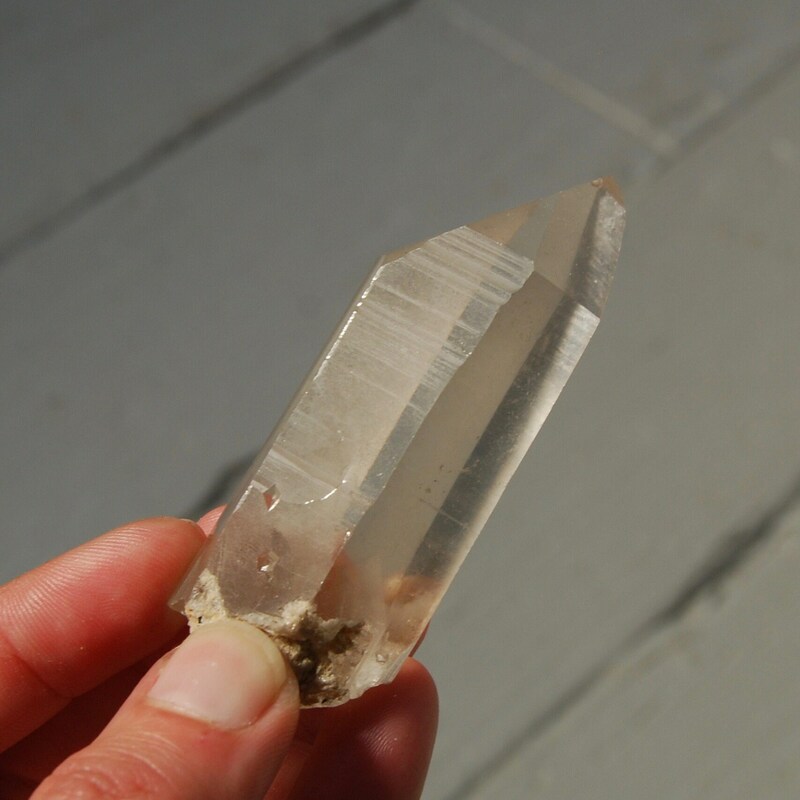 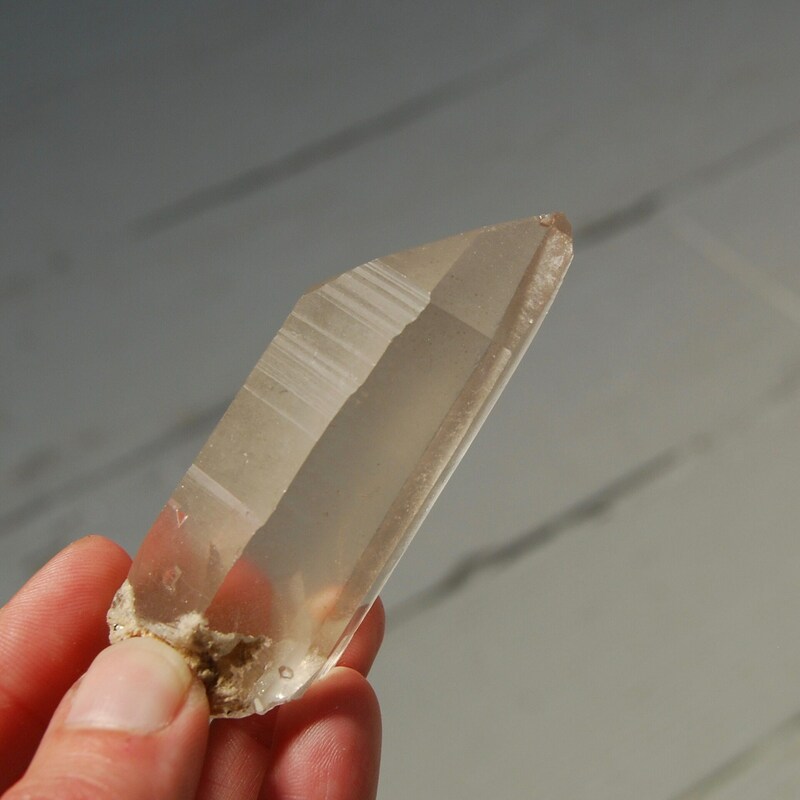 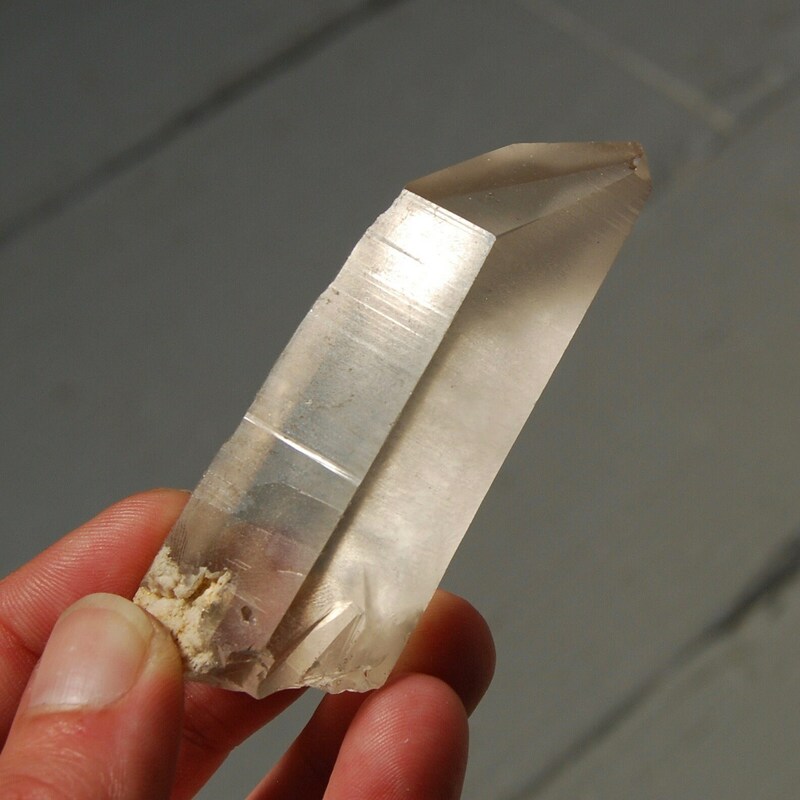 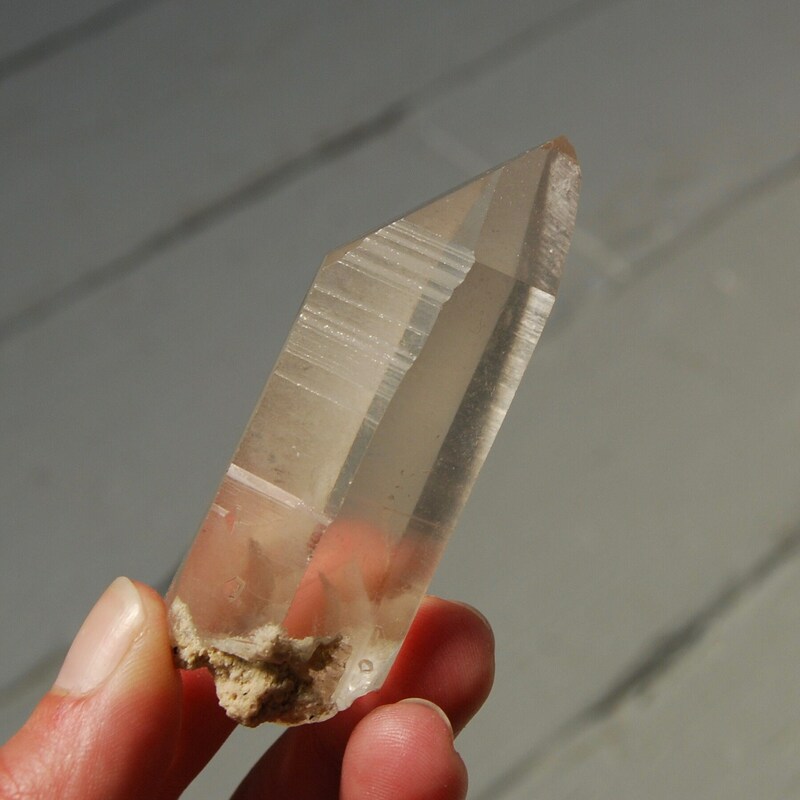 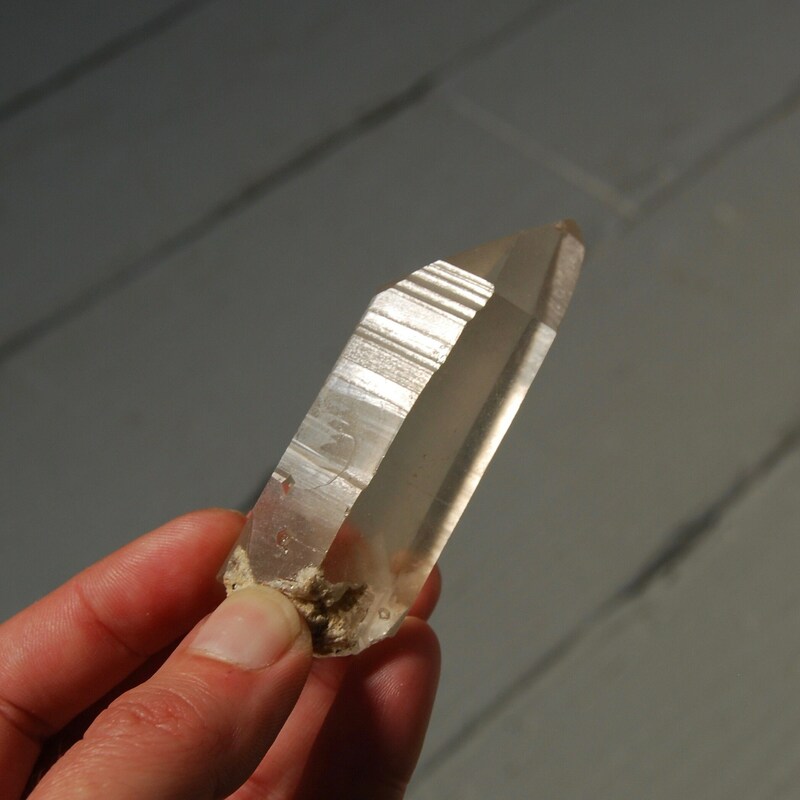 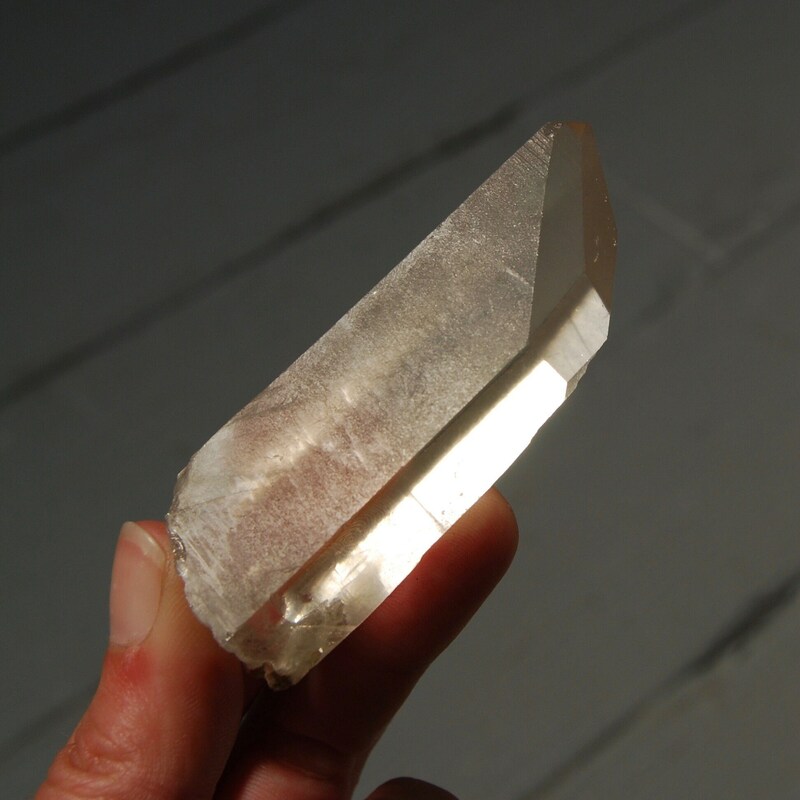 For your consideration is this beautiful Lemurian Seed crystal from Minas Gerais, Brazil. 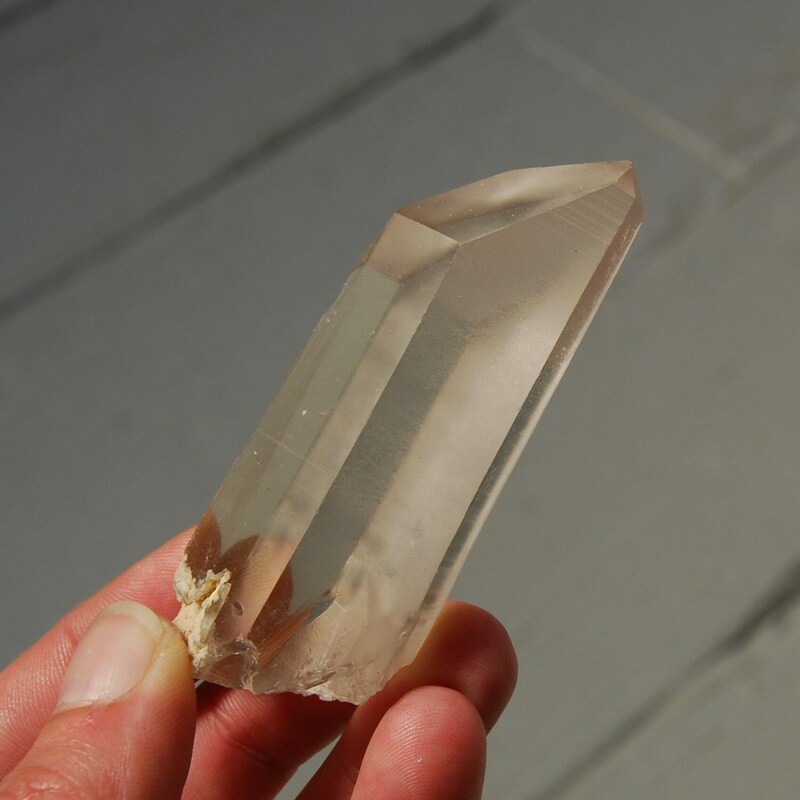 It weighs 81 grams and measures 3 inches long. 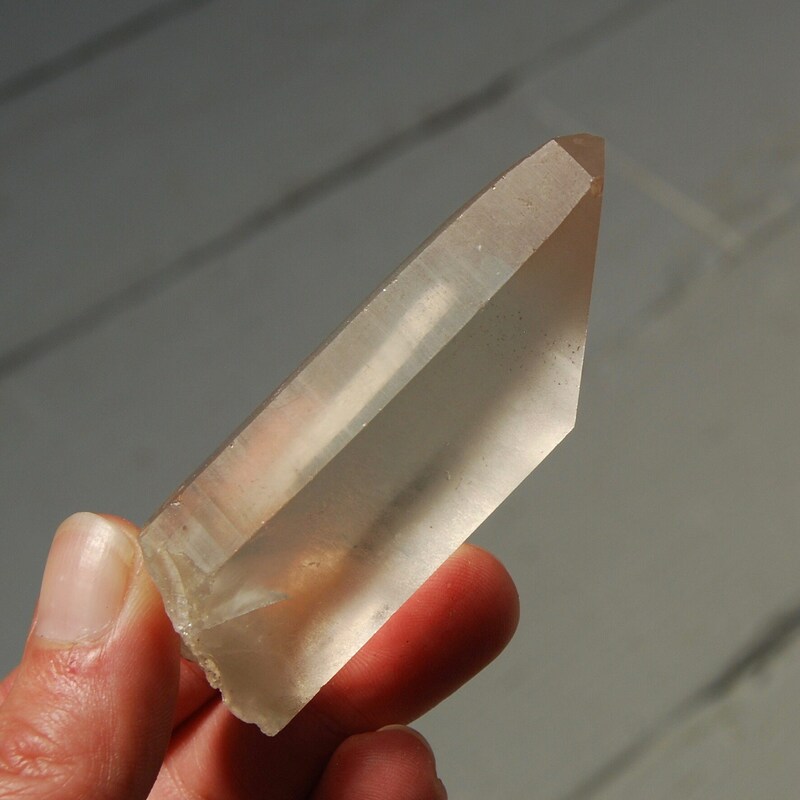 This one is water clear with a small white phantom at the base. 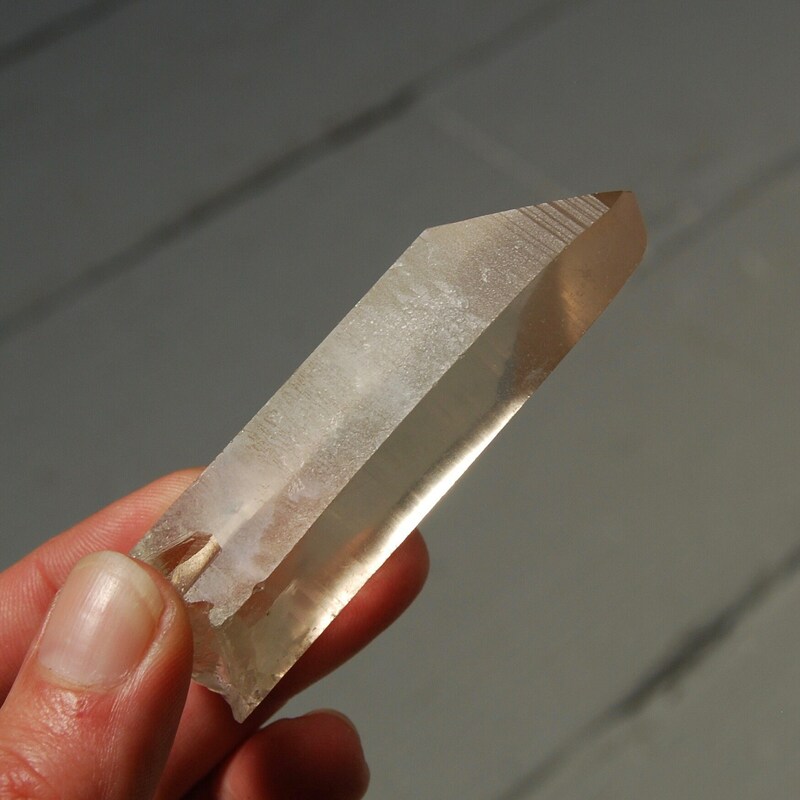 It has deeply Akashic Lines, a small window, a large key at the base and has two tiny perfect and deep keys on of side of the shaft.